Happy Howleris a 2014 72S Azimut that is one of a kind! Equipped with T-MAN 1800-hp V-12 diesel engines with 387 hours and 383 hours along with dual 20 kW generators with 751 hours and 584 hours respectively (as of October 2017). There are three staterooms accompanied by three heads along with a relatively large salon/dining area that can seat as many as eight people. This vessel offers upper and lower helms with dual gyro stabilizers along with hydraulic bow and stern thrusters, both of whichhave recently been updated and serviced. The lower level includes the galley and staterooms while the crew quarters in the aft section of the yacht. Upon stepping aboardHappy Howler, the aft deck is very large in comfort and style with a large dining table that is surrounded by U-shaped seating. This area has upgraded teak flooring, two refrigerators, and Kenyan BBQ with a sink. As you make your way through the tri sliding doors, as they create a full opening into the salon/dining area, the LED and accent lighting abounds or dine under the stars with the retractable sunroof. Custom wood flooring and electric Roman and cloth slatted blinds are also a part of the salon/dining area. Deluxe A/V system, full Pioneer and Martin Logan interior sound system along with 4K resolution LED TV with DirecTV, Blu-Ray, and Apple TV, you will be relaxing and dining in luxury. The lower helm boasts upgraded twin electric alligator leather seats, custom electronics, electric port side window, and a starboard side door to access the side deck. Stepping down to the lower deck on the starboard side, the galley is a chef’s dream. Custom marble floors, wine cooler, large size dishwasher, roll out spice rack, additional separate ice maker, and central vacuum with special sweeper floor vacuum are just a few of the special touches. The lower companionway has a separate washer and dryer along with additional storage under the floor. The master stateroom will delight owners with custom wood flooring, larger hull windows, a safe, and made-to-order cabinets. The master head has marble floors and an extra hanging section in the walk in closet to port. All of the staterooms are upgraded with custom fine fabrics, high end mattresses from Handcraft Mattress Company, blackout curtains, wood floors, electric Roman and cloth blinds, extra LED lighting, and electrical sockets. All heads are air conditioned with extra LED lighting in front of the mirror. Happy Howlerhas a flybridge that is accessible from the aft deck using a staircase. The flybridge has teak floors throughout with two reclining teak chairs to the aft. There is U-shape seating to port across from the helm and a sunpad just forward of the helm. There is an electric awning that covers the aft portion of the bridge deck to keep you comfortable. There is an upgraded refrigerator and separate ice maker and wet bar. Owners and captains will enjoy the helm that has been enhanced since delivery with a steering wheel, hydraulic bow & stern thruster controls, dual GS Raymarine screens, Xenta joystick docking, auto pilot, depth and wind data, and a yacht controller. Happy Howleris located in Fort Lauderdale, Florida. She combines class and elegance while enjoying the sport of yachting. United Yacht Sales New Jersey would love to guide you through a personal showing of this 72' Azimut 72 S 2014. 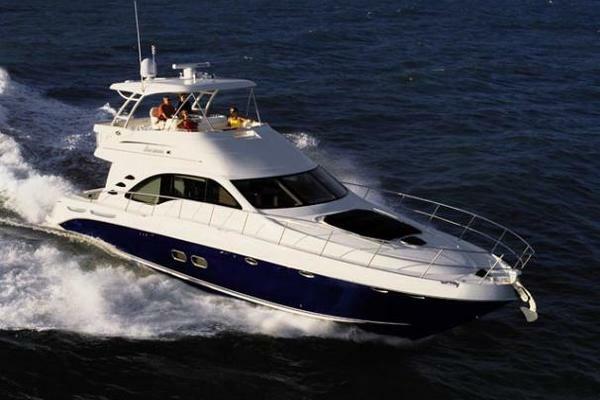 This yacht for sale is located in Fort Lauderdale, Florida and priced at $1,993,900. For a showing please contact us by filling out the form on this page and we will get back to you shortly!